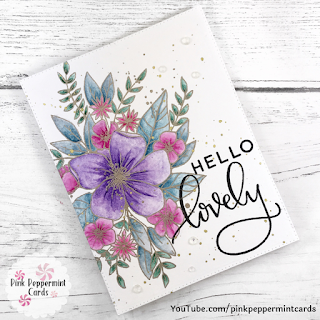 Today Im sharing this super adorable card using the amazing Hello Lovely stamp set by Concord & 9th. 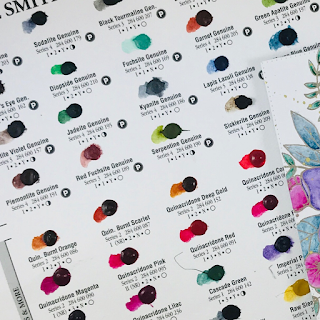 This is such a beautiful stamp set, a beautiful floral bloom that you can't help but make even more gorgeous by colouring it in. To colour my card today I have used Daniel Smith Extra Fine Watercolours. I recently purchased the 66 dot chart to try some colours out as I'm new to professional watercolours and water colouring in general and its such a relaxing way to colour. The dot charts are a perfect try before you buy option too! Check out my YouTube video if you'd like to see how I coloured this beautiful stamp! Thanks for joining me back on my blog! 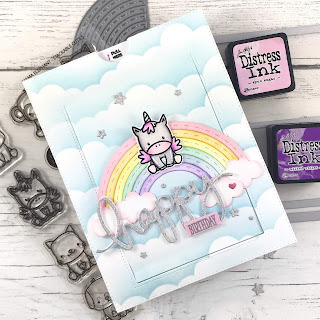 Today I'm sharing this super cute interactive card using lots of different dies and stamps from my stash (all listed below). I created a panel of super soft fluffy clouds using a mini cloud stencil and tumbled glass distress ink. I then used the sunny studio stamps sliding window die to cut the interactive sliding panel and a half-moon notch at the top. I adhered a pane measuring 3.25"x5" to the back side of the cloudy panel to create the pull mechanism. The rainbow die is cut from heavy weight white cardstock and each rainbow ray is individually inked with distress inks in pastel shades. I coloured my cute unicorn with Zig Clean Color Real Brush markers on Strathmore Bristol Smooth cardstock and adhered him on to the rainbow along with some die cut clouds. For my hidden widow panel I stamped a sentiment from the Be A Unicorn stamp set by Avery Elle an added a few stamped stars and some shimmery paint splatters. 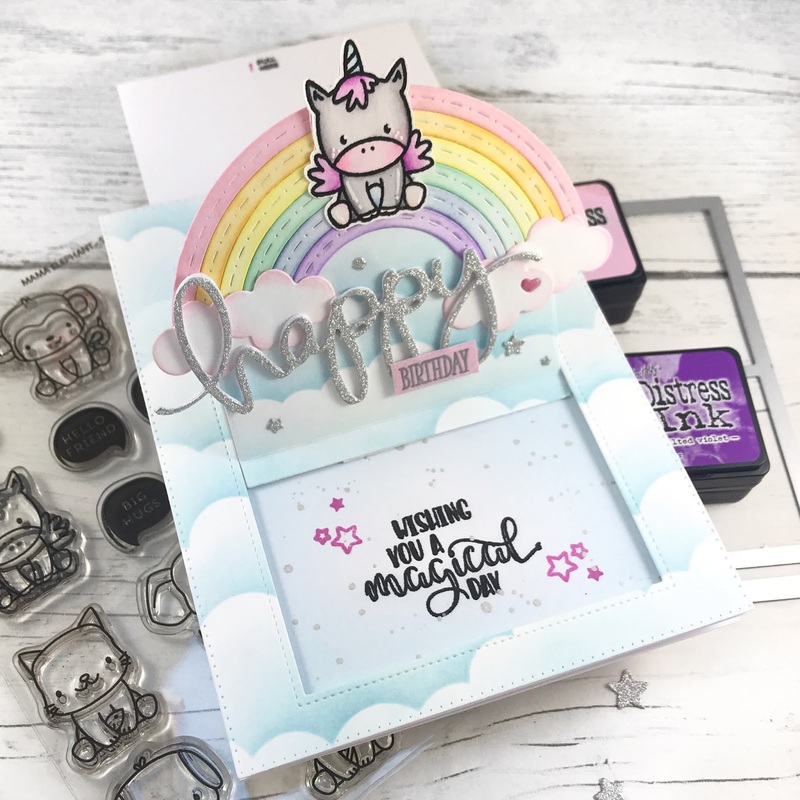 For the front panel sentiment I cut the word 'happy' three times for a dimensional die cut and heat embossed the word 'birthday' with some silver embossing powder. Finally, to finish off the card I used my Mama Elephant 'confetti' die to cut some silver glitter card and used just the stars in various sizes. The whole panel was adhered to a side folding A2 size cardbase with Scotch 3M foam tape. Be sure to check out my video to see how I put together the card!